As the old saying goes, “we do not inherit the earth from our ancestors; we borrow it from our children”. When borrowing something, we always try to return the item to its owner in the same condition as when we first received it. 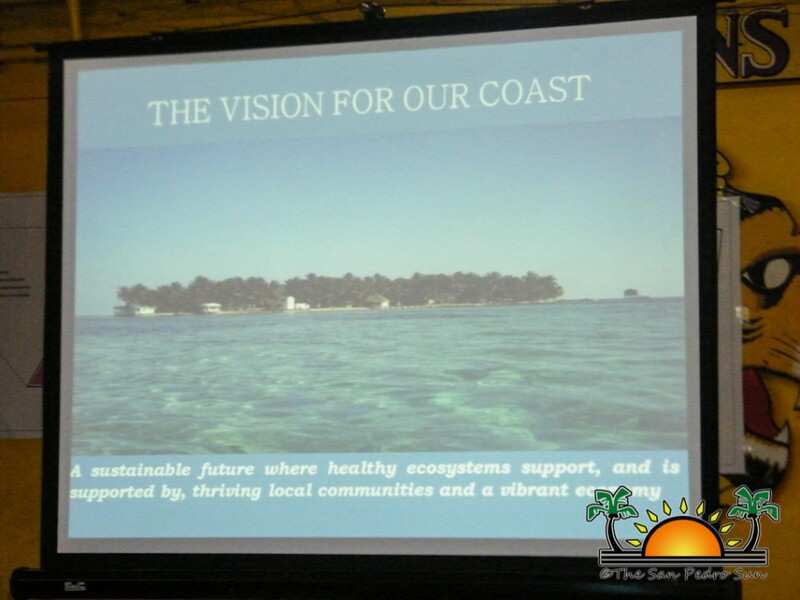 This is the guiding principle behind the Integrated Coastal Zone Management Plan – a plan that was first conceived in Ambergris Caye in 1989. Almost a quarter of a century later, that plan is becoming a reality. 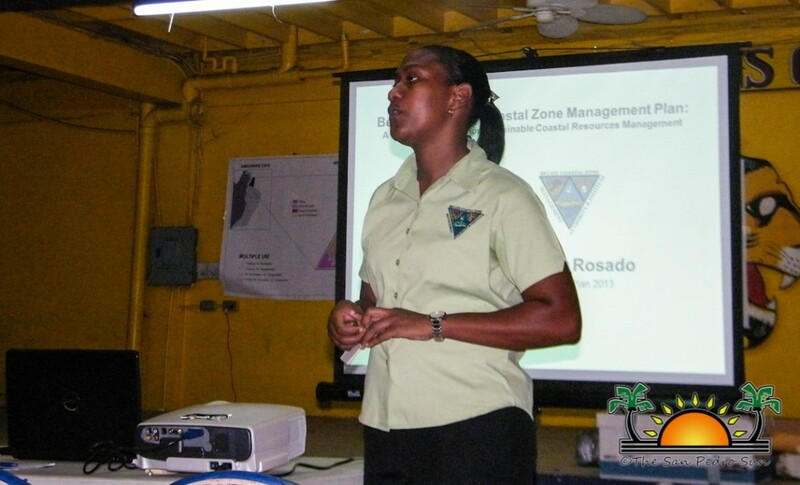 The Coastal Zone Management Authority and Institute (CZMAI) has undertaken a two-year literature research and community consultation period to develop what was presented at the Lion’s Den at 6pm on June 12th, 2013. It was, in fact, the second consultation of its kind in San Pedro. All of the input from the previous consultation, held on March 29th 2012 , has been compiled, and this presentation was a ‘check-up’ with its advisors - the community of San Pedro. With their vision, “a sustainable future where a healthy ecosystem supports, and is supported by, thriving coastal communities and a vibrant economy” in mind, CZMAI set about developing a plan which effectively balanced both conservation and development needs. The area the plan concerns includes all marine areas and a 3km “zone of influence” along the coastline. The plan includes zonation schemes and recommendations related to development, fishing, marine transport and recreational activities, such as snorkelling. Using a marine modelling tool, InVEST (Integrated Value of Ecosystem Services and Trade-offs), three scenarios were developed, and the results of all three analysed and compared to the present day. Scenario “Conservation” prioritised minimising ecosystem damage, whilst “Development” gave precedence to immediate economic benefit from using resources now. The third scenario, “Informed Management”blends strong conservation goals with current and future needs of communities. This is the scenario the CZMAI is proposing. 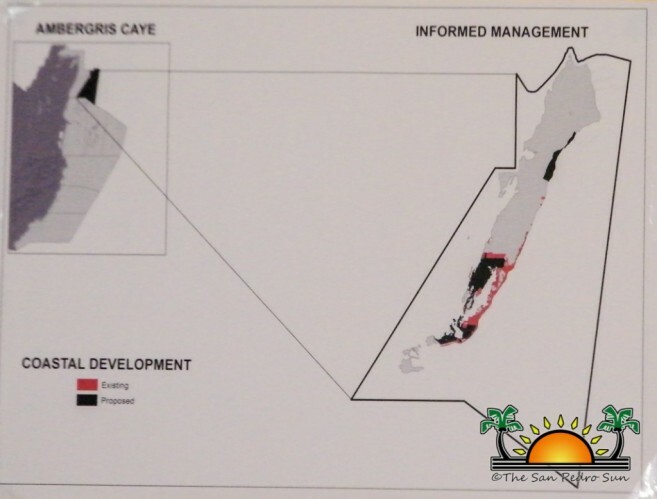 Through habitat risk assessment, CZMAI showed that Ambergris Caye currently has the highest level of mangrove degradation in the whole country. 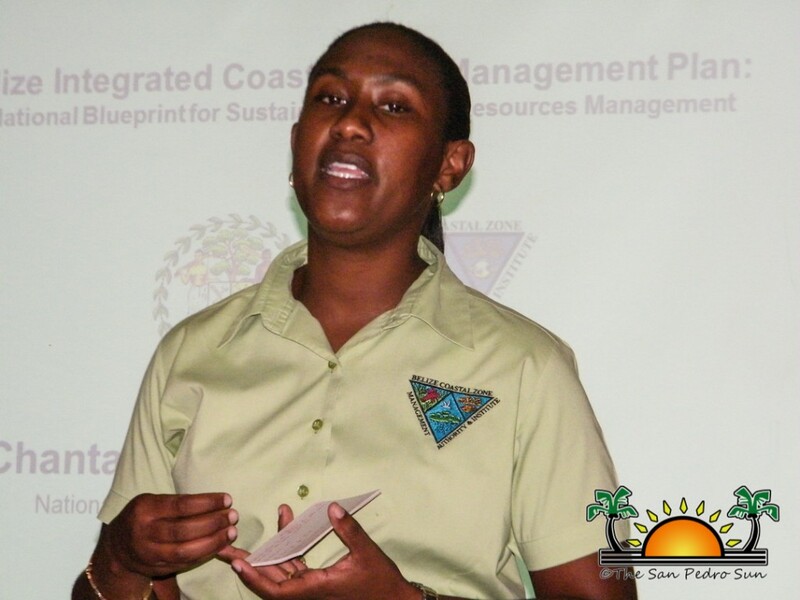 The Informed Management plan recognises the range of long-term benefits provided by mangroves, such as reef fish nursery grounds and coastline protection, and the potential economic loss to Belize if current rates of mangrove degradation continue. Informed management sees a decrease in total area of mangroves classified as being at high risk to human activities. Annual avoided damages by this reduced habitat risk to mangroves is equivalent to BZ$8 billion. Vincent Gillet, CEO of CZMAI, said, “fundamental to our operation is to recognise that we want to develop this country. But we must be mindful of the fact that if we want development, it must be sustainable”. He said that everything points towards the need to plan development wisely, and consider long-term impacts of decisions. 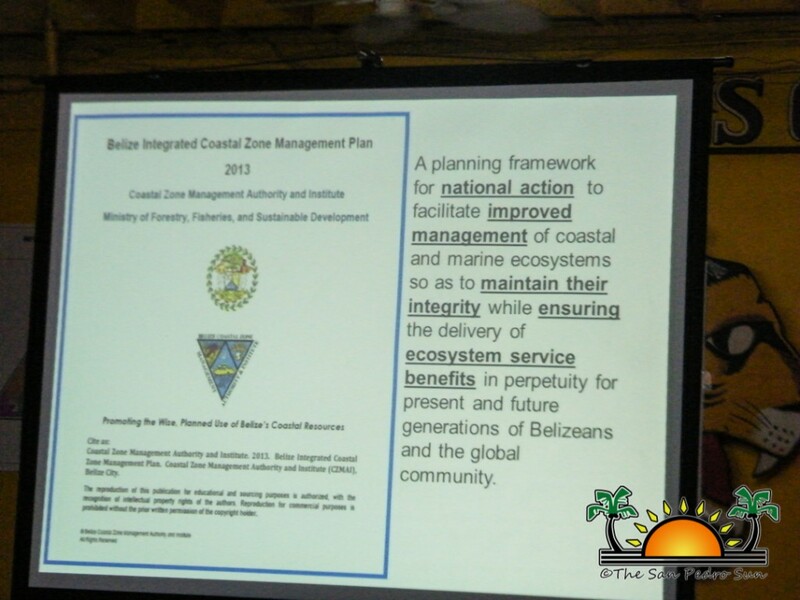 Once accepted by cabinet, the Integrated Coastal Zone Management Plan for Belize will be legally binding. For anyone interested to learn more, the entire plan, broken down by region, activity and habitats, can be accessed online (www.geointerest.frih.org/NatCap). CZMAI is welcoming comments, questions and concerns until July 15th, 2013.